Since 1999, people in yellow jackets have been skiing around Vail Mountain giving information, helping guests, and keeping the mountain safe. 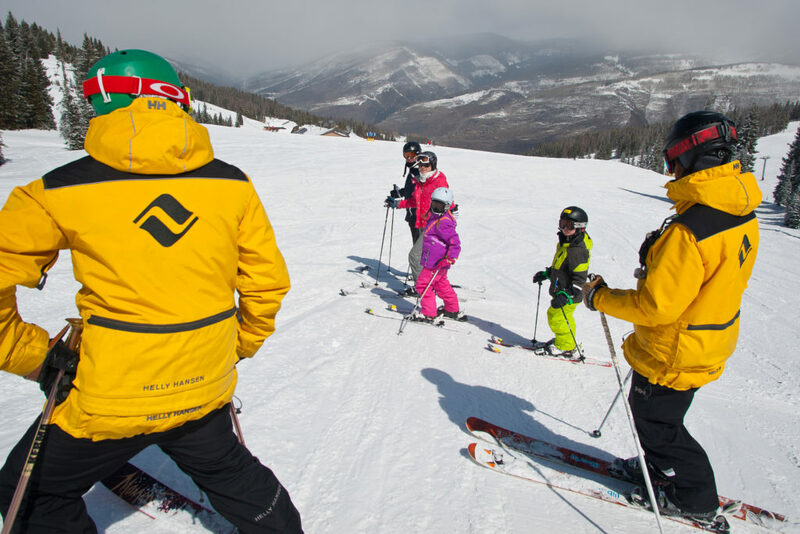 Vail Mountain Safety is now an award-winning benchmark program whose staff is committed to education and enforcement of the Colorado Ski Safety Act and Your Responsibility Code. Our goal is create a community of skiers and riders who embrace mountain safety. It’s our mission to educate everyone who skis or rides Vail Mountain on what responsible behavior looks like. We’d be happily out of a job if everyone who skis or rides Vail Mountain knew, understood, and observed the seven principles of Your Responsibility Code. Until every skier and rider on Vail knows and abides by these seven principles, Vail Mountain Safety is out there enforcing responsible behavior on Vail’s 12 runs designated as slow zones. We do this by putting up almost 200 yellow signs every morning. In addition, we engage in conversations with people we see skiing or riding in a way that puts themselves or others at risk. We can and do issue tickets to people who are unsafe, and occasionally we have to pull someone’s pass to protect the rest of the guests and employees on our mountain. But our favorite part of the job is giving compliments to people we spot doing the right thing. Mountain safety isn’t just the job for people wearing yellow jackets; it’s everyone’s responsibility. It takes the whole community of people who love Vail’s legendary terrain and snow to get us to a point where we don’t have much work (besides all those signs), and we’d love your help. We’re always looking for ways to make the mountain safer. If you have any helpful, constructive suggestions, feel free to share them with us at: VailMtnSafety@VailResorts.com. You can also help up spread the Responsibility Code. If every person who skis or rides Vail Mountain knew the code and followed it, we’d be out of work.